Lung Cancer Alliance (LCA) thanks the chairman and the committee for allowing the submission of the following comments for the record of this hearing. LCA, the leading national lung cancer policy, advocacy and patient support organization, is deeply concerned by the lack of updated disease specific incidence and mortality data from the Department of Veterans Affairs in the Gulf War and Health Volume 10 Report. 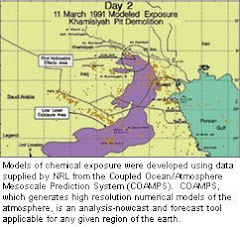 The Vol.8 report indicated that at that point in time, only lung cancer showed a statistically relevant excess between Gulf War deployed veterans and non-deployed veterans, based on a published 2010 study by Young et al which linked Defense Manpower Data Center datasets with files from 28 state cancer registries and the Department of Veterans Affairs Central Cancer Registry. The study concluded that the 15% excess of lung cancer diagnoses in deployed veterans over the years 1991-2006 warranted additional follow-up studies. Indeed, the Vol.10 report concluded that additional follow-up was necessary. Because cancer incidence in the past 10 years has not been reported, additional follow-up is needed. Many cancers have long latency periods, 20-30 years in the case of lung cancer as both Vol. 8 and 10 accurately report. The median age for a cancer diagnosis in the United States is 65 (70 for lung cancer) and the median age of Gulf War veterans in 1991 was 28. 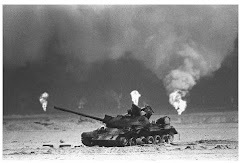 Thus, the impact of Gulf War deployment on cancer incidence and mortality cannot be accurately evaluated without long term follow-up and accurate incidence and mortality statistics. Updating the 2010 Young study would have been the most logical, cost-effective and statistically significant resource in preparing for Vol.10. The only other Primary study cited in Vol.10 was the 2015 update (Sim et al.) on the Australian Gulf War veterans which did not show elevated cancer incidence or mortality rates. However, while the survey included all 1,871 Australia Gulf war veterans, 84% were Navy, not deployed ground forces, and 87% were under the age of 55 at the time of the update. The Vol. 10 report conceded that telephone/web surveys of U.S. Gulf War veterans by committee member (Dursa et al., 2015) and the VA showing no disparity of impact did not qualify as primary studies and were not sufficiently powered or cross-checked with actual mortality and incidence data to be considered statistically significant. When queried by LCA, the committee staff indicated that they did not ask the VA for disease-specific mortality data. Clearly this has to be done. Lung cancer is the leading cause of all cancer deaths. Its annual mortality is equivalent to all deaths from breast, prostate, colon and pancreatic cancers combined. Veterans, especially those who served in combat, are at highest risk due to the combination of smoking rates and exposure to carcinogens. CT screening for a defined high risk population ages 55-80 has been validated by one of the largest randomized controlled trials ever carried out by the National Cancer Institute, given a B recommendation by the U.S. Preventive Services Task Force, a required preventive service covered by commercial insurance and Medicare with no co-pays, deductibles or co-insurance. Yet the VA , whose population is at highest risk, still refuses to implement this life-saving benefit system-wide. Since the median age of Gulf War veterans is now the mid-50’s, LCA would urge the committee to require the VA to immediately implement CT lung cancer screening. Indeed, CT screening will provide more concrete and accurate data on lung cancer, as well as data on heart disease and other lung diseases, than the $500,000,000, 18-year Gulf War study has to date.